This little hatch is loaded with attitude and character, and it shows in its new lines and creases. It’s clear that the small-car market in Canada is very much the rage right now in the auto industry. To prove this point, Chevrolet unveiled their revamped and updated Spark minicar at the 2016 Montreal International Auto Show. The hot little hatch is set to take the segment by storm and offer some serious competition in the ranks. Let’s start with the most exciting and interesting fact about the 2016 Chevrolet Spark: the fact that it’s now taken the title as most affordable car in Canada with a starting price under the $10k mark (before freight and prep fees). There’s no denying, the American automaker is taking the microcar segment head-on, and fully intends to win. While Chevy decreased the price of the Spark, they increased the horsepower. Up 14 ponies from the previous generation, the 2016 Spark produces 98 horsepower form it’s 1.4L engine that’s coupled to an available 6-speed transmission, with all power being sent to front wheels. The Chevrolet Spark is tons of fun to drive, as well as being fuel efficient and practical with an ability to safely and easily maneuver through tight urban streets and crowded parking lots. The 2016 Chevrolet Spark sports a much more muscular and masculine exterior look, now. This little hatch is loaded with attitude and character, and it shows in its new lines and creases. The wee Chevrolet Spark looks ready to stomp on the competition, no matter how tough it is. The Spark is no longer cute and adorable, but is instead dynamic and full of strong personality. Despite its small size, the Spark offers up room for four inside, but that’s not its only fabulous interior amenity and feature. The miniature Chevy Spark features OnStar and available 4G LTE wireless connectivity. And for the first time, also has available safety features like blind-spot monitoring, lane-departure warning and even forward-collision warning. 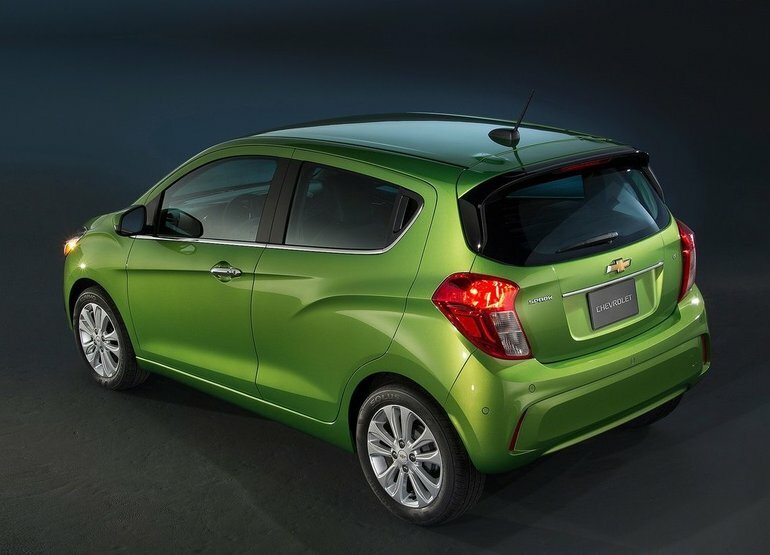 While it might be small in size, the 2016 Chevrolet Spark is large in amenities, features and presence on the road. The microcar’s small price is sure to make it a top contender for those in the market for a practical, easy-to-live with city car. To find out more about the brand new Chevrolet Spark, head down to Bruce GM Middleton to speak to one of our experts. Don’t forget to book a test drive, too.